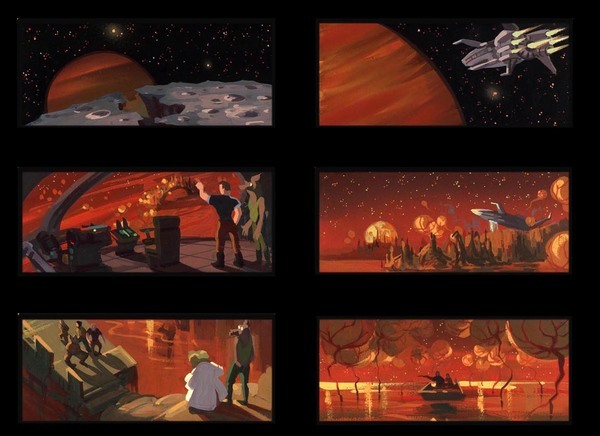 "Titan A.E" was the 3rd animated feature film produced and directed by Don Bluth and Gary Goldman at FOX Animation Studios in Phoenix, Arizona. It is a post apocalyptic science fiction film set 1000 years in the Future. It tells the story of Cale (Matt Damon) a young space mechanic who discovers that the ring his father gave him contains a genetically encoded map. He is the only hope for the future of mankind and is faced with a perilous journey to find the Drej, a malevolent, enrgy based species intent on blowing up the Earth. 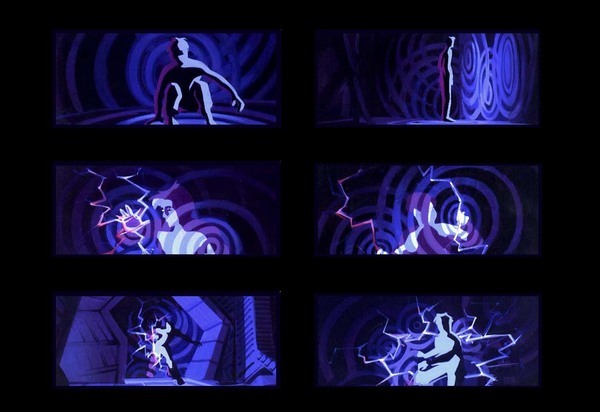 The film's animation technique was an early example of traditional hand drawn animation combined with an extensive use of CGI. Its working title was "Planet Ice" and it had been in development for many years. 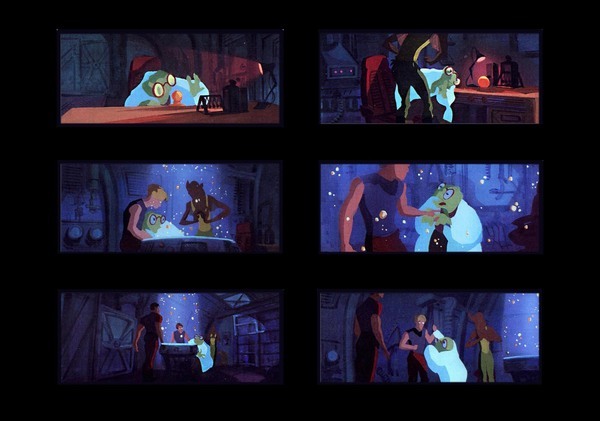 I worked with the projects Art Director, Kenneth Slevin to produce colour storyboards, beat boards and tonal sketches.